That's right! 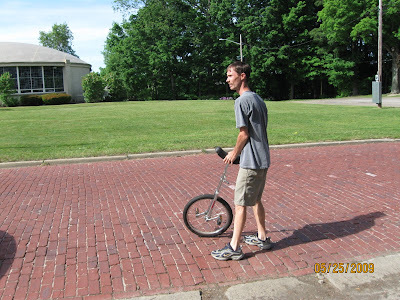 I am exposing here how my Hubby did a great job to show to his family and friends that he can ride on his Unicycle. This happens last Memorial Day, when we invited his whole family and some friends for an outside cook out. Since everyone is there, and an early celebration for his birthday he pulled out his unicycle that he didn't use for a long time at the basement. 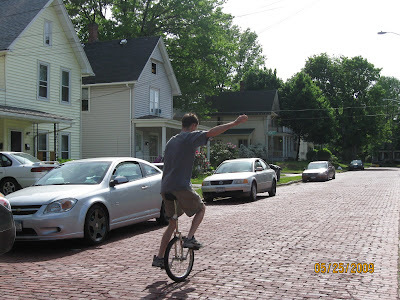 Everyone is excited to see how he can do it, after many times of attempt, he finally rode on his Unicycle. Hard and kinda scary but in the end he finally made it.